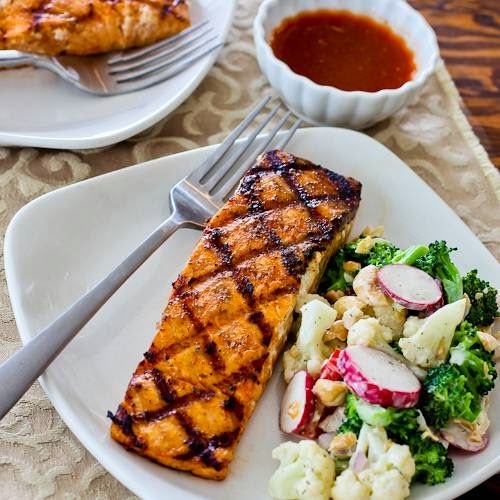 We should all be eating plenty of fish, and I’ve updated this collection of The BEST Low-Carb Fish and Seafood Recipes from Kalyn’s Kitchen to help with that goal. 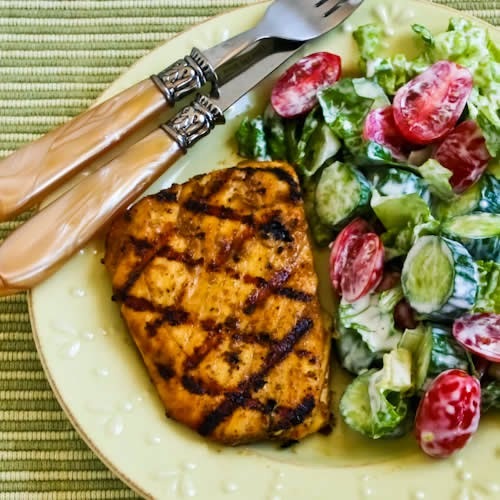 Use the Diet-Type Index to find more recipes like these. 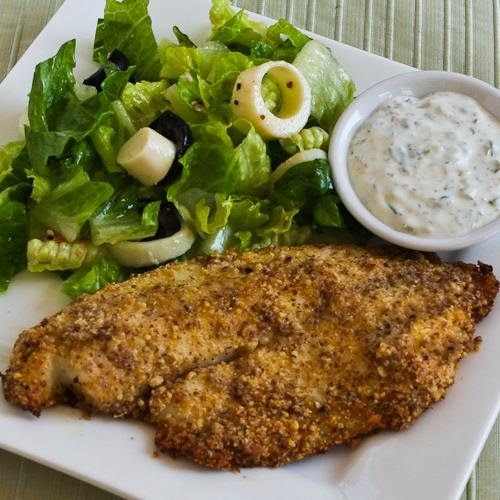 Click here to PIN The BEST Low-Carb Fish and Seafood Recipes! 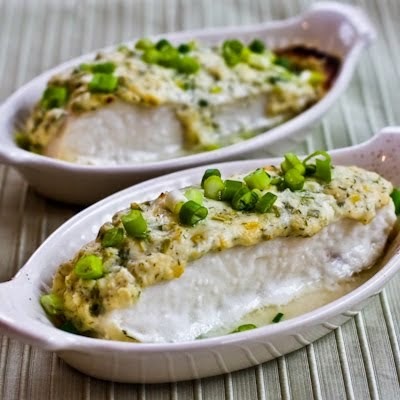 Fish is definitely a healthy menu-option any time of year, and some of these low-carb fish and seafood recipes are popular all year long. Still I can’t help noticing that every year during the six weeks before Easter the fish recipes suddenly get more popular when lots of people give up meat on Fridays and start eating more fish. And then when it’s spring people start thinking about bathing suits or wearing summer clothing and it seems like fish gets even more popular. I’m a big fish lover, so there are quite a few delicious fish recipes on this site. 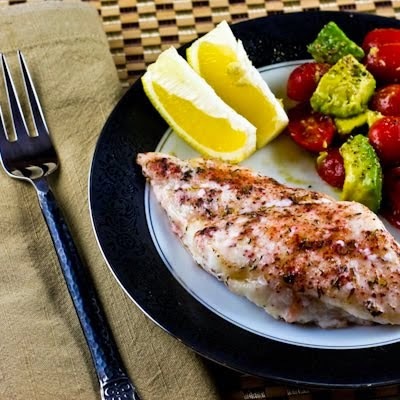 And when you’re eating lighter low-carb food, a lovely piece of cooked fish can taste like a real treat. 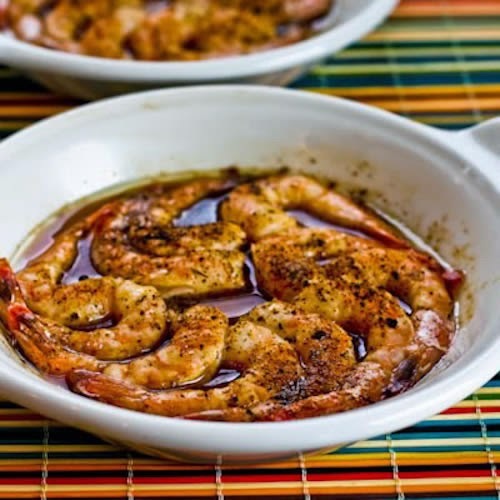 No matter what your reason for putting fish on the menu, I’ve got you covered with this collection of The BEST Low-Carb Fish and Seafood Recipes from Kalyn’s Kitchen! 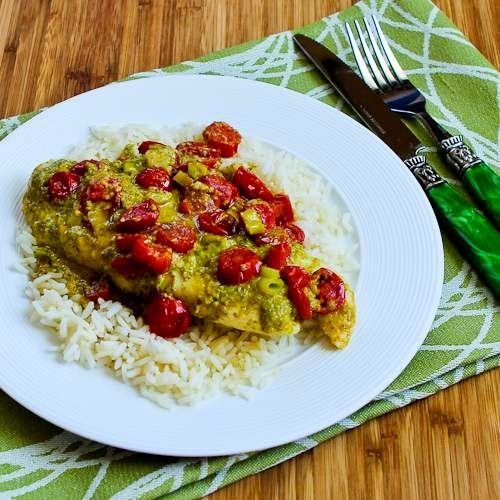 Every recipe in this newly-updated round-up of fish recipes is low-carb and gluten-free and with the exception of a few recipes that contain Parmesan, nearly all these fish recipes are Paleo. And they’re all Phase One for the South Beach Diet. 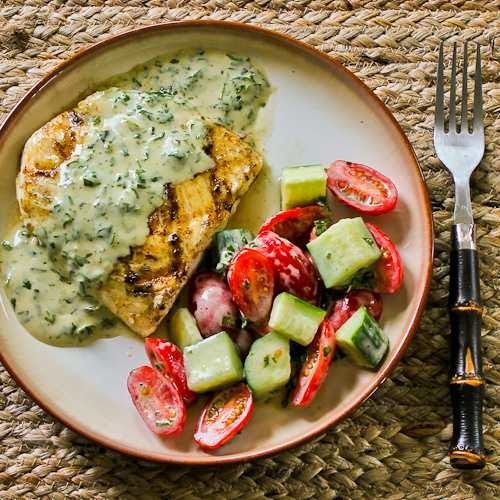 Any time you’re wanting a healthy fish dinner, this collection has you covered. 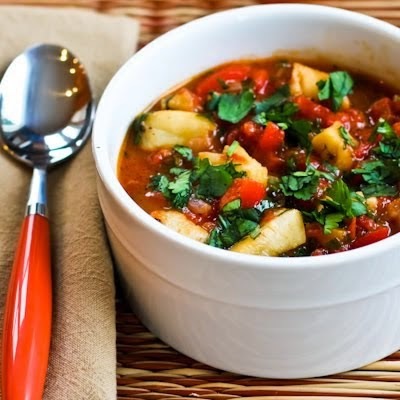 Just click the link under each photo to see the complete recipe; and then cook and enjoy! And this weekend I’m visiting Palm Springs with some friends, and I’ll probably be having fish for dinner at one of the amazing restaurants there! 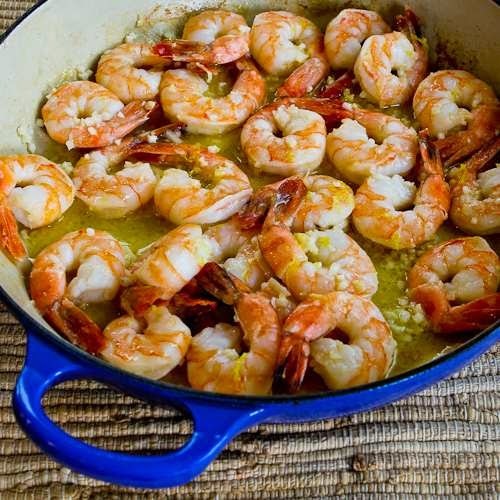 If you try one of my favorite fish or shellfish recipes, I’d love to see how it turns out for you. Just use the hashtag #kalynskitchen on Twitter or Instagram to show me your pics! Aw, thank you! So glad it was helpful for you! 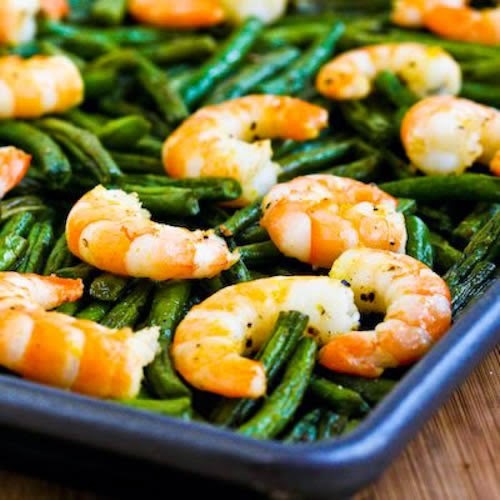 Hi, I think the link for the first meal, Roasted Asian Salmon and Green Beans Sheet Pan Meal, might be wrong–it goes to a different recipe. I was still able to find it using the search function, but I thought you might like to check it. Thank you! Duh, thank you! Will fix right now. Glad you could still find it! I saw your post on Instagram and wanted to let you know I host a weekly healthy recipe linkup on Wednesdays if you would like to link some of your recipes. I am still looking for co-hosts as well. Thanks for thinking of me Elaine, but I'm so busy with Pinterest, social media, and photo submission sites that I've had to give up participating in blogging events like that. 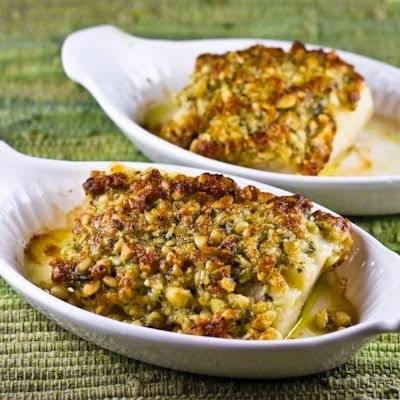 Great time to put fish recipes on the computer, being it is LENT, and it is good for the brain…Thank You Kalyn.. Thanks Marie, so glad it's useful for you! Wow, look at all of these great ideas. I love fish, but don't make it for dinner very much. My husband is not a huge fan. I on the other hand always order it when we go out and have canned fish for lunch several times a week. These recipes are so inspiring! I bet he would even like a lot of them. Katie, I'd be excited if your husband turned out to like some of these. I'm a huge fish fan, but I need to keep reminding myself to cook it at home more often. A delicious reminder that fish is so good for us! Thanks Lydia, and so true!